Mindful Knitting looks at the art of knitting from a Buddhist perspective. Exploring the parallels between knitting and meditation, this book instructs the reader in how knitting can be a tool for contemplation. 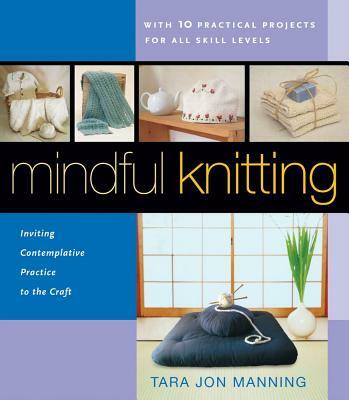 It explores the benefits of engaging in knitting in a mindful way, presents simple meditation exercises, and provides clear, easy-to-follow project instructions that complement and expand upon each meditation theme. "Tara Jon Manning" is a noted knitwear designer, retail knitting store owner, a Craft Yarn Council of America certified knitting instructor, and a Shambhala Buddhist practitioner. She has been exposed to and received teachings from numerous Tibetan Buddhist meditation masters, including the Dalai Lama and Chogyam Trungpa, Rinpoche.